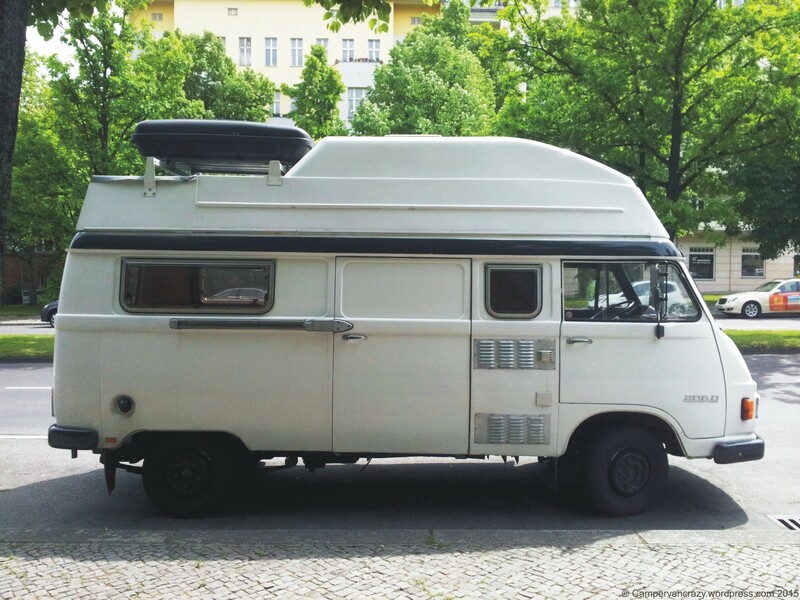 So here is another Barkas, the East German equivalent to the West German Volkswagen bus. 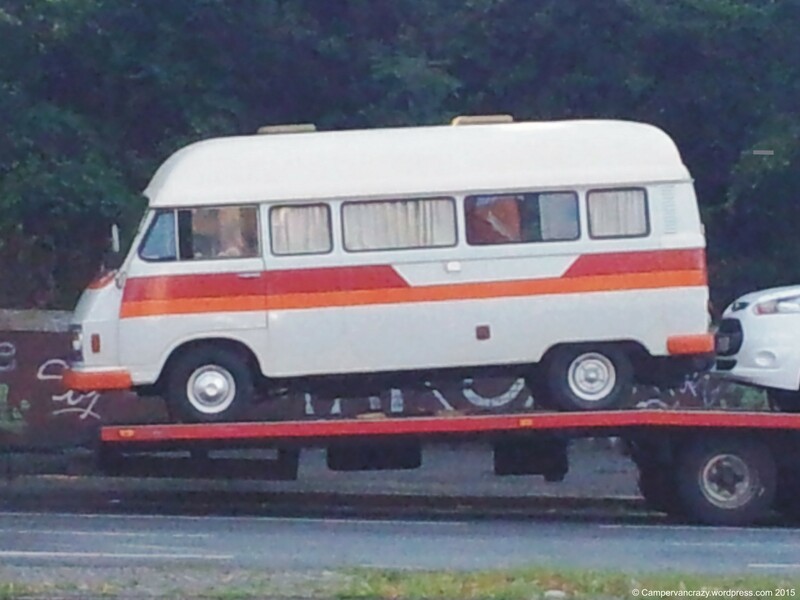 This one is an ex-ambulance I saw at the Berlin VW Bus festival 2014. 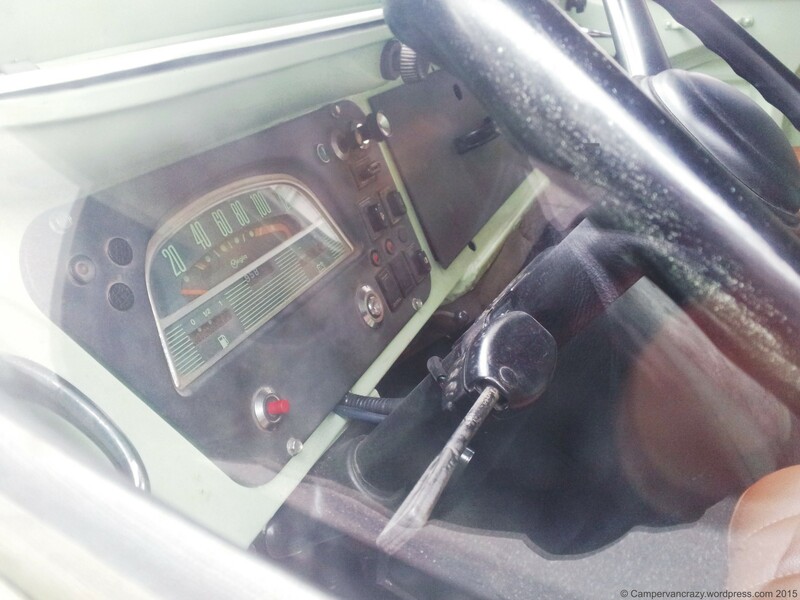 The color is certainly not original, but the interior still was. 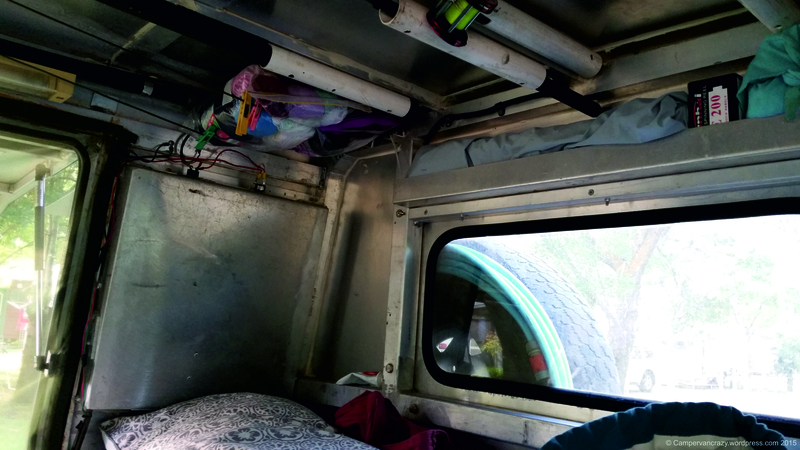 The massive spot light on the ceiling in the back was actually still the light used if a medical operation had to happen in the back of the ambulance. 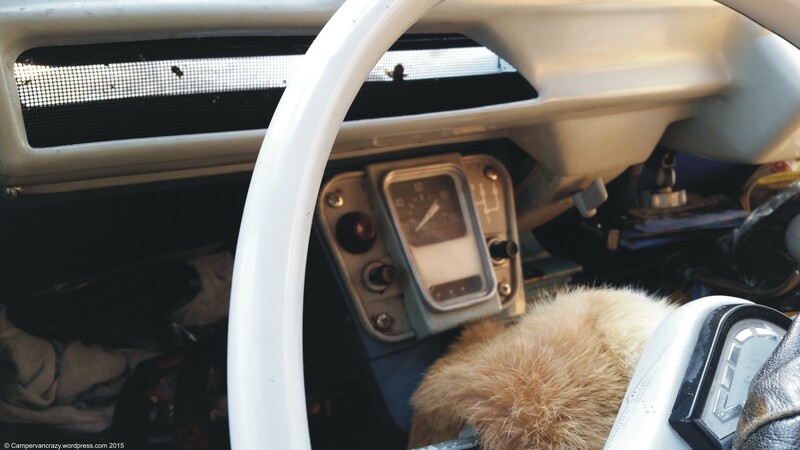 This type of bus was built between 1961 and 1991, but with the plastic-y dashboard this one was probably one of the later, 1980ies models. 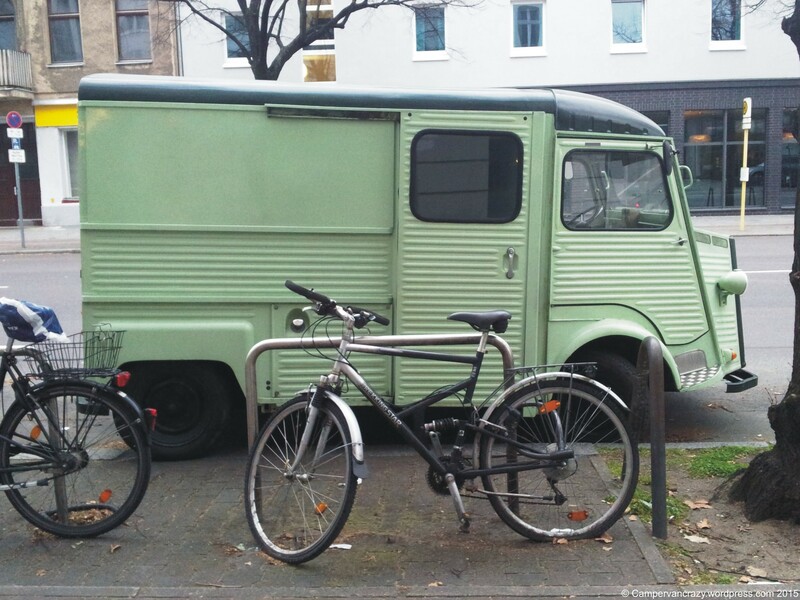 A pretty amazing van. 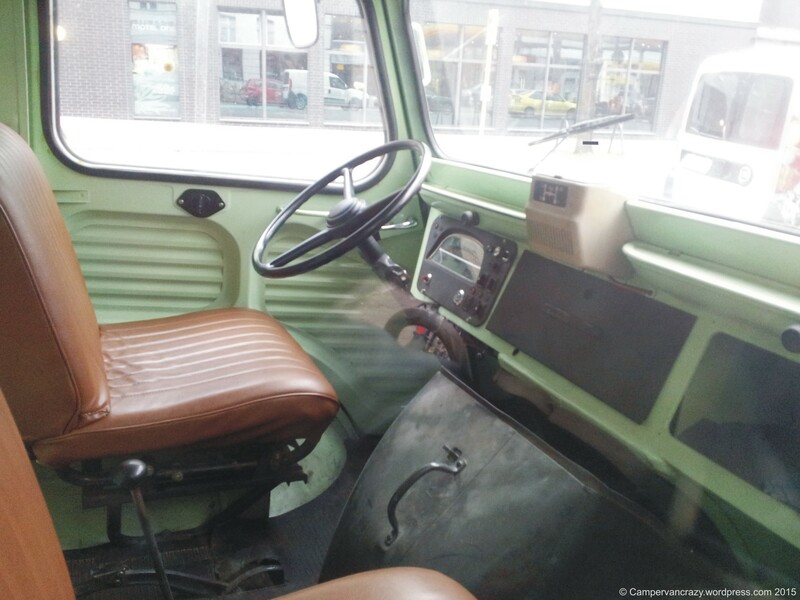 The Barkas B1000 was the East German answer to the West German Volkswagen bus. 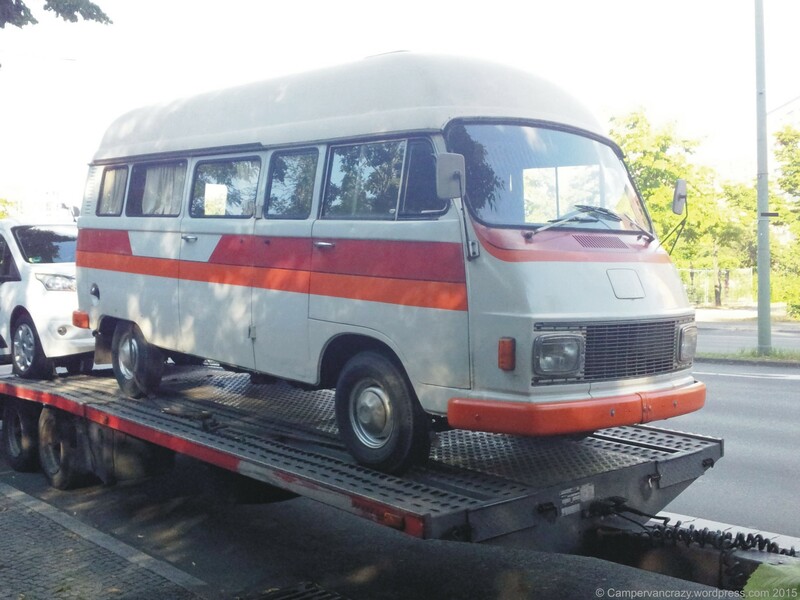 It was built from 1961 till 1991, just after the end of the German Democratic Republic, so similarly long as the T1 and T2 kombis (built in West Germany from 1950 to 1979). 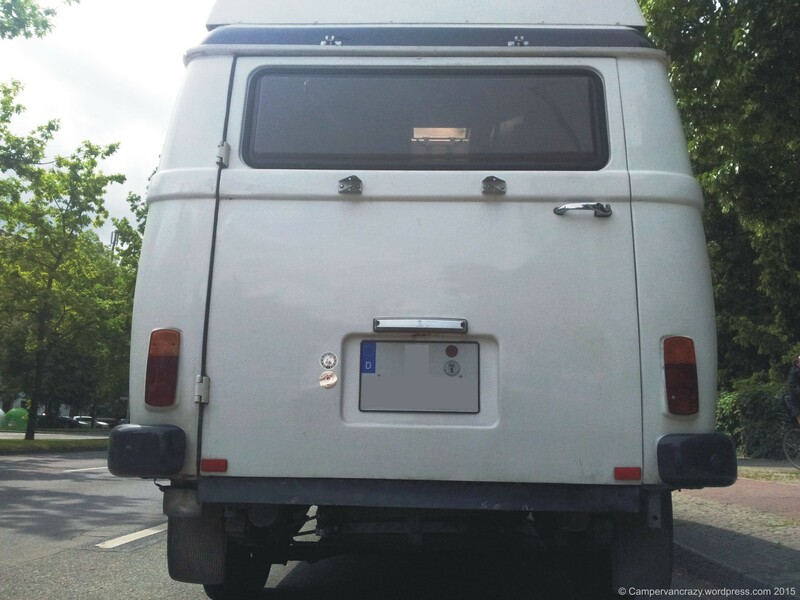 With the round overall body shape, the sliding door on the right side and the round head lights it comes with a similar face and set up as the T2 bay window bus. 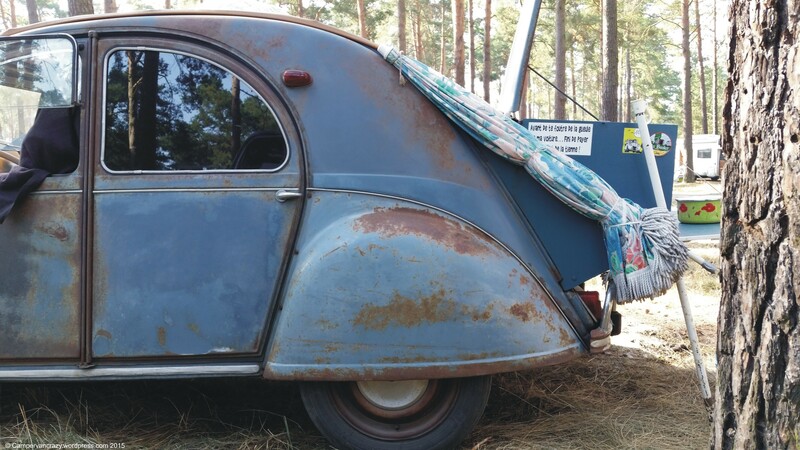 In contrast to the VW buses of the time it came with front wheel drive and had the engine in the front which (as the English Wikipedia entry points out) made it easier to load and allowed more body configurations. 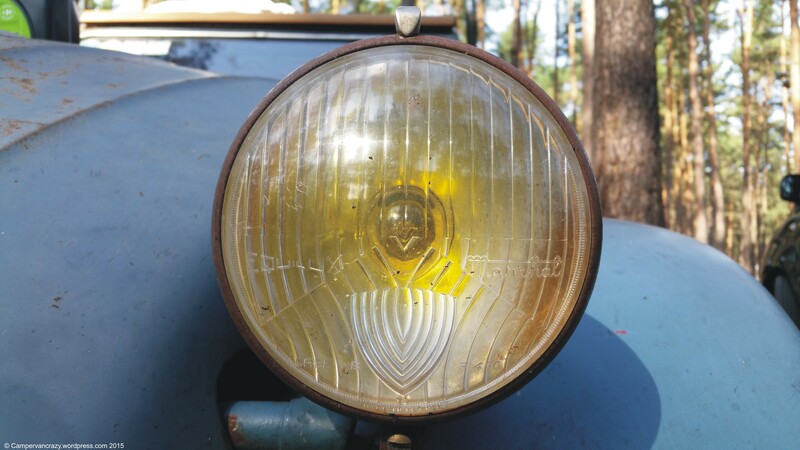 For most of its production the engine was a 45 horsepower three cylinder, two stroke motor. 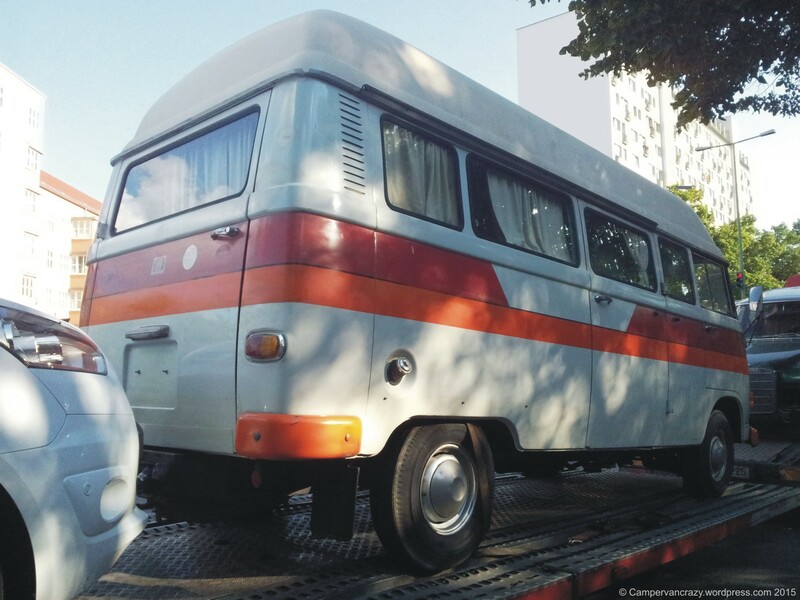 Amazingly, the overall production numbers over 30 years were just below 180.000, whereas the VW T1 split-window bus was manufactured 1.5 million times (1950-1967), followed by 3.3 million T2 bay window buses (1967-1979). 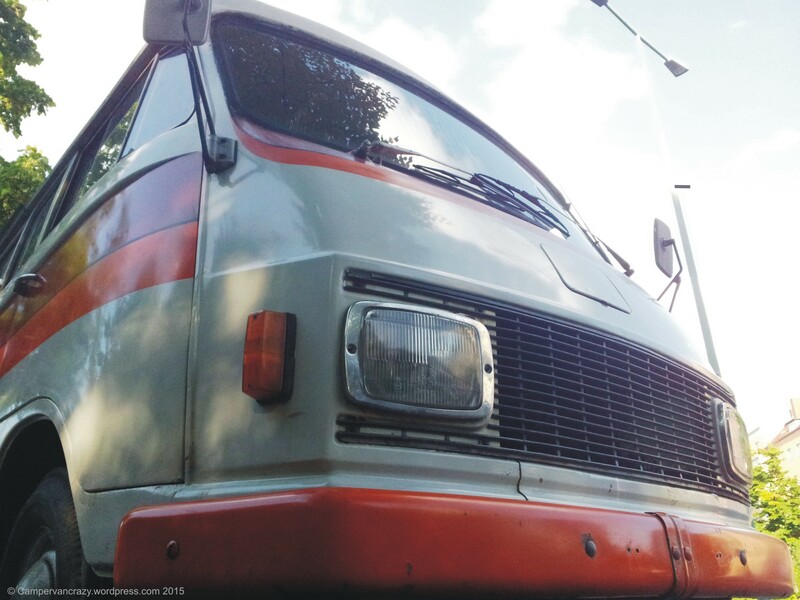 Nowadays, 27 years after the end of production, these Barkas buses have become a rare view on the road. 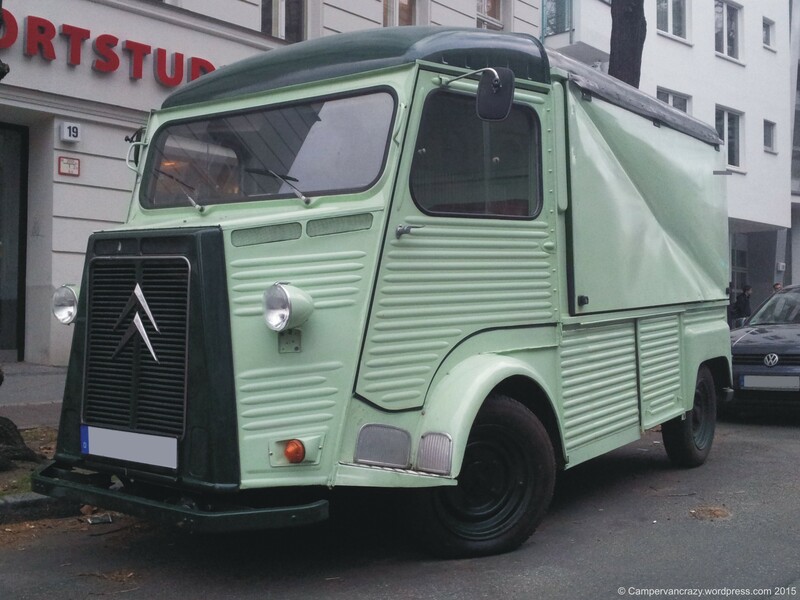 I stumbled over the one below in Berlin in Dec 2017. Good to see that some of them are being kept alive! 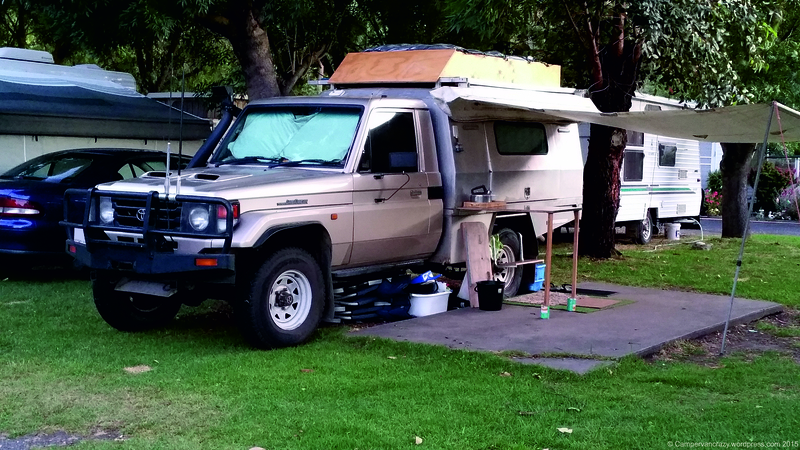 This awesome four-wheel-drive camper pulled in next to us a couple of days ago on our campsite in Geelong. 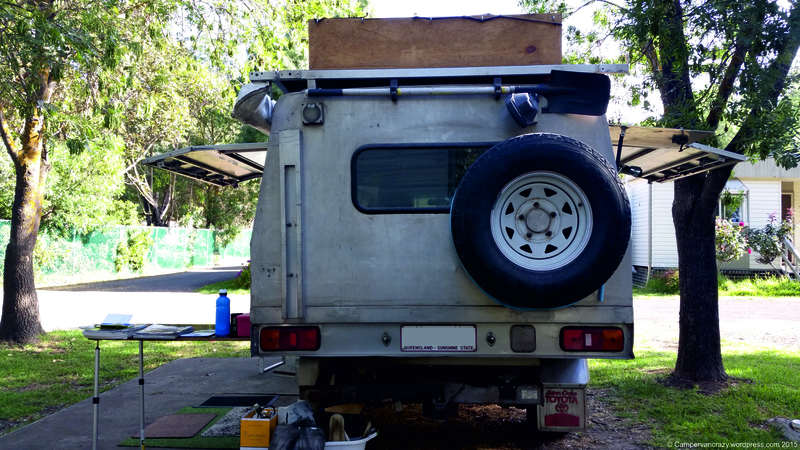 It belongs to Peter and Wendy from Queensland. 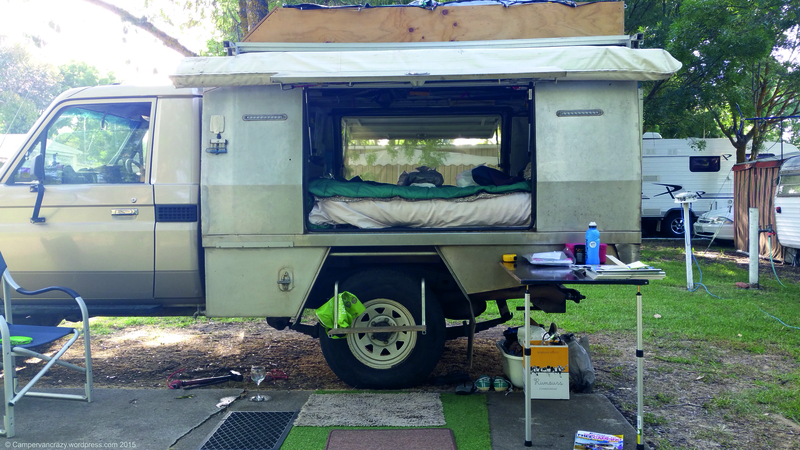 They have been on the road throughout Australia for the last 5 years and have just arrived in Geelong on their way from Perth to Tasmania. 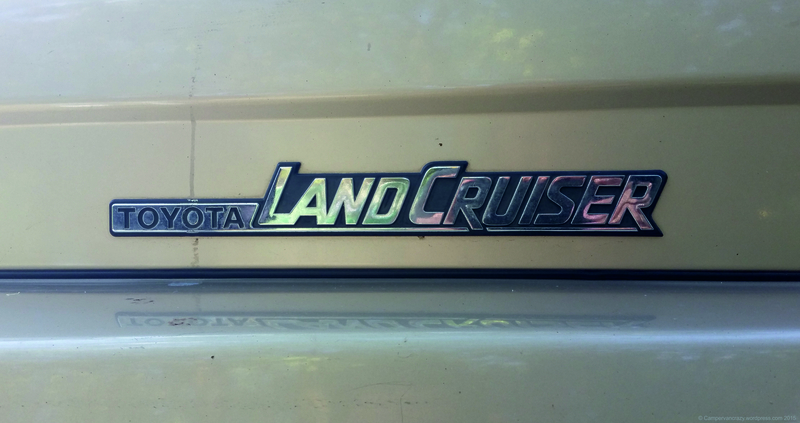 Peter bought this Toyota Land Cruiser as a new car in 2002. 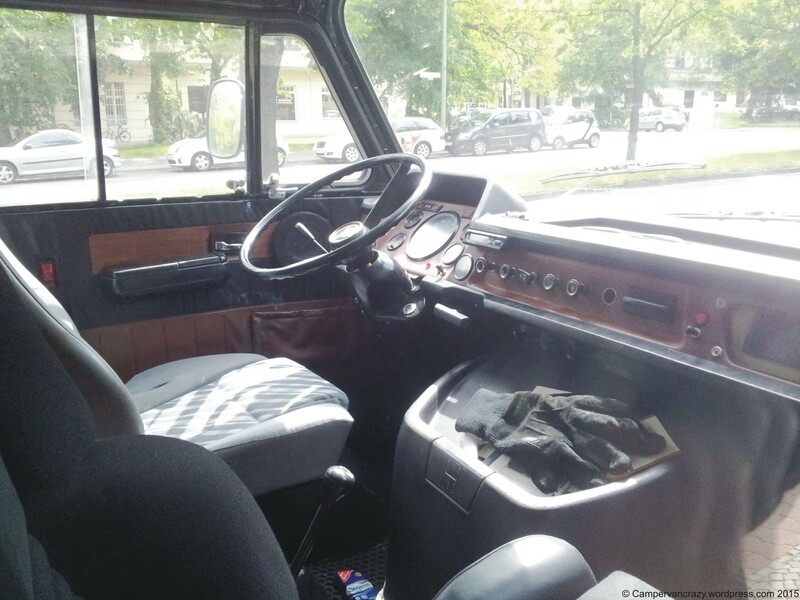 It is a J70 Land Cruiser which, according to Wikipeia, has been built since 1984 and until the present day. 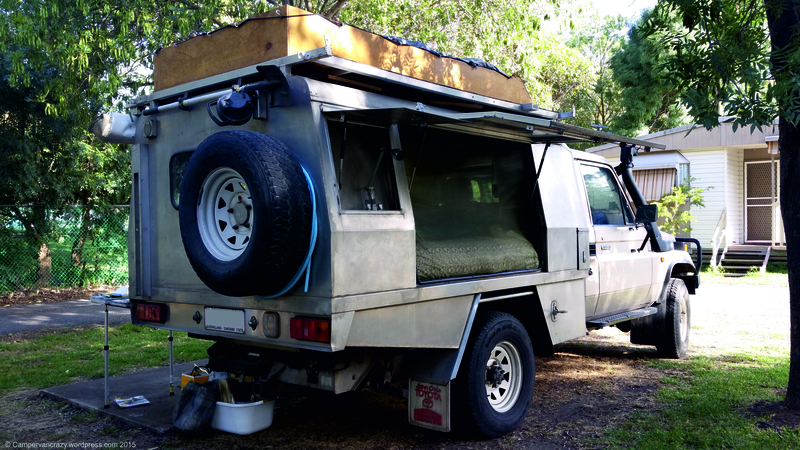 This one is of the 79 subseries (for the pick-up truck variant) and Peter bought it as a single cab with chassis and then built the complete camper set-up in the back from scratch. 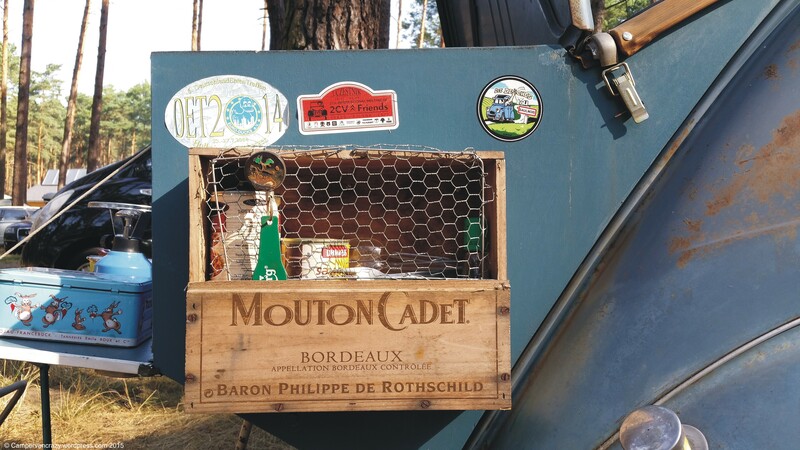 It features two 125L fresh water tanks (one on each side in front of the rear wheels) and two additional diesel tanks (75 and 100L) which provide an overall capacity of 250 L diesel. 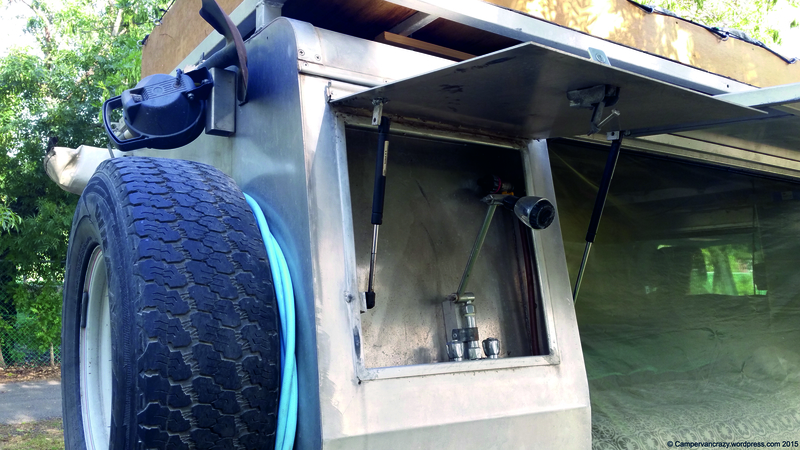 With a consumption of 10-12 km/L, this allows trips of more than 2000km between refills. 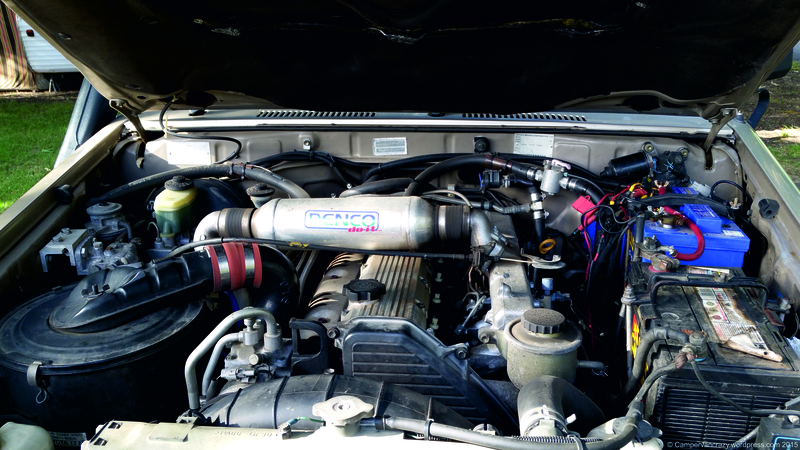 It comes with a six-cylinder engine which Peter equipped with a turbo. 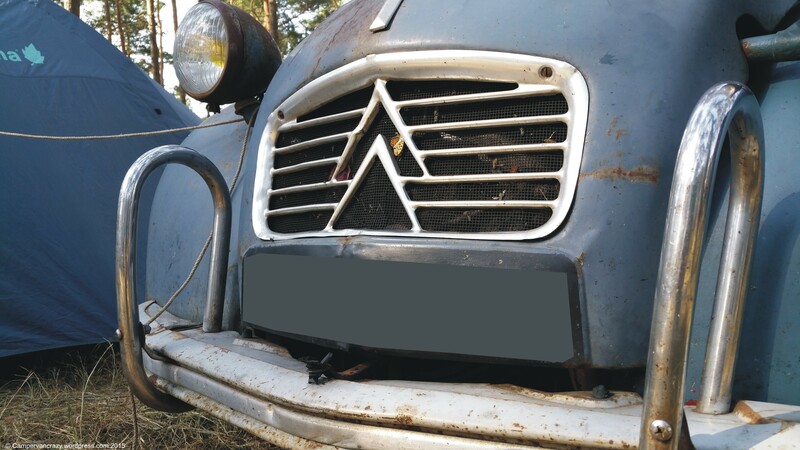 The unit in the back is made from a cage of 5cm aluminum square tube, extra strong so that the car should survive a roll-over without severe damage. All panels are made from double-strong aluminum panels. 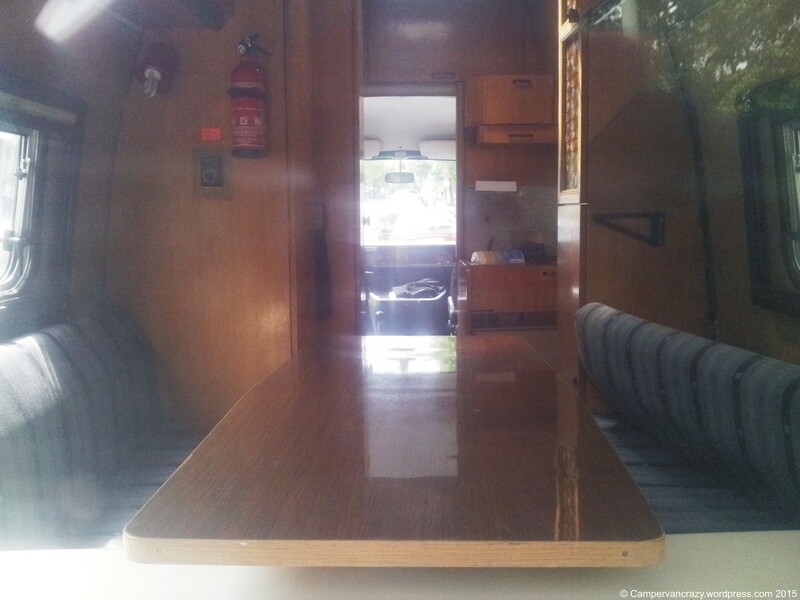 The campervan conversion is deliberately very minimalistic: Large bed over most of the area in the back, with some storage space for tools etc. under the bed. Entry via a step hooked over the back wheel which can be used on either side. 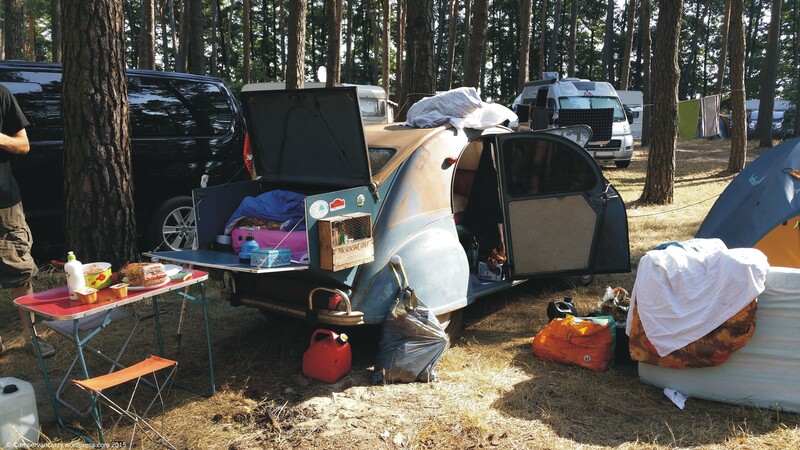 An esky (cooling box) running on 12 V as fridge and boxes with kitchen equipment on the wall behind the drivers cabin. 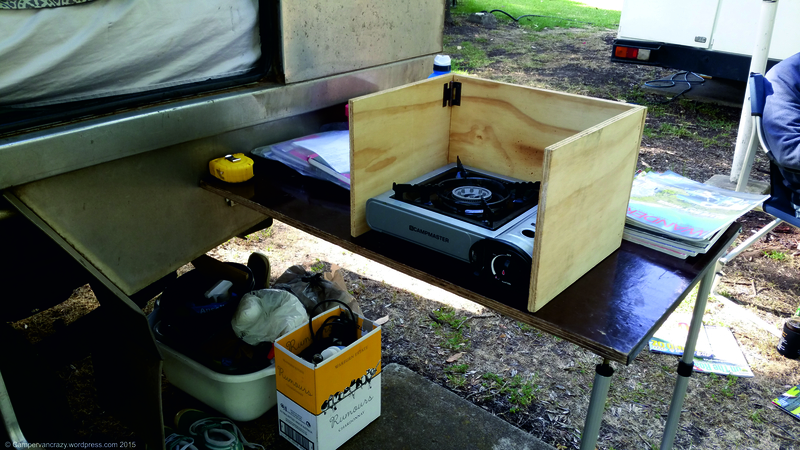 A kitchen table to fold out and attach to the side of the truck, two small gas cookers to set up on the table when needed, with a self-built wooden screen for protection from wind. 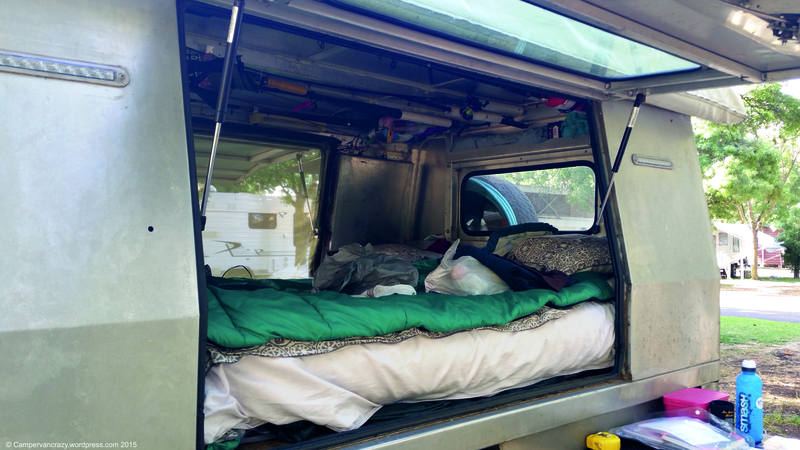 A lid on the outside on the rear right corner of the van hides a fold-out shower unit. 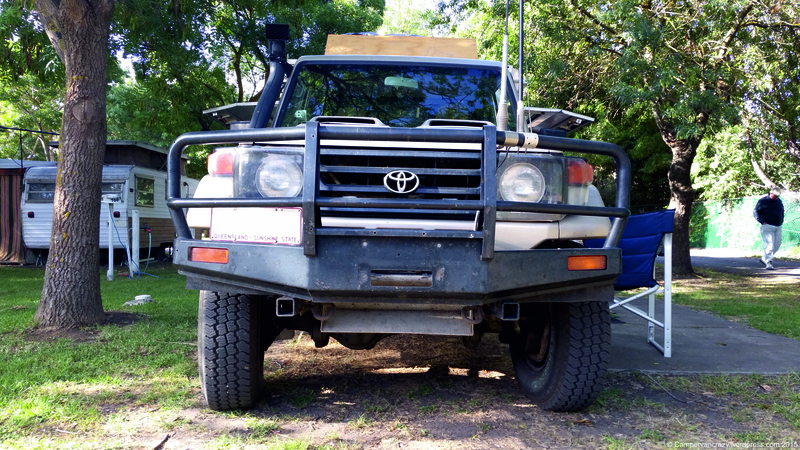 One spare wheel is attached to the rear of the truck, a second spare wheel is on the roof rack. 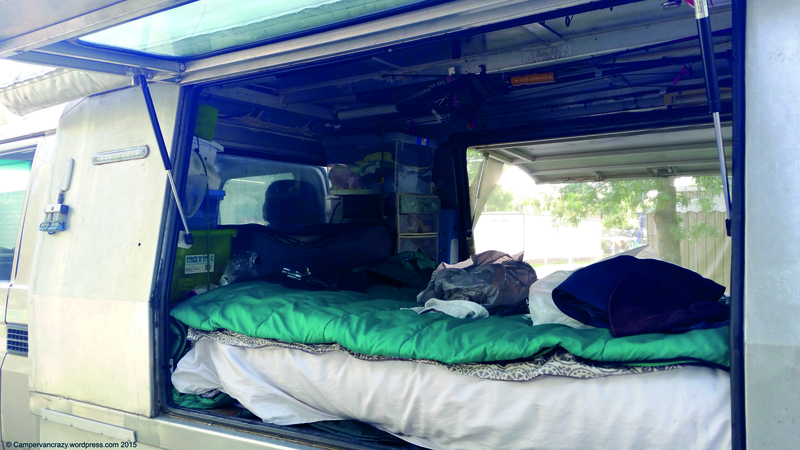 Most of the time Peter and Wendy were travelling with a caravan, using the Land Cruiser as towing vehicle. 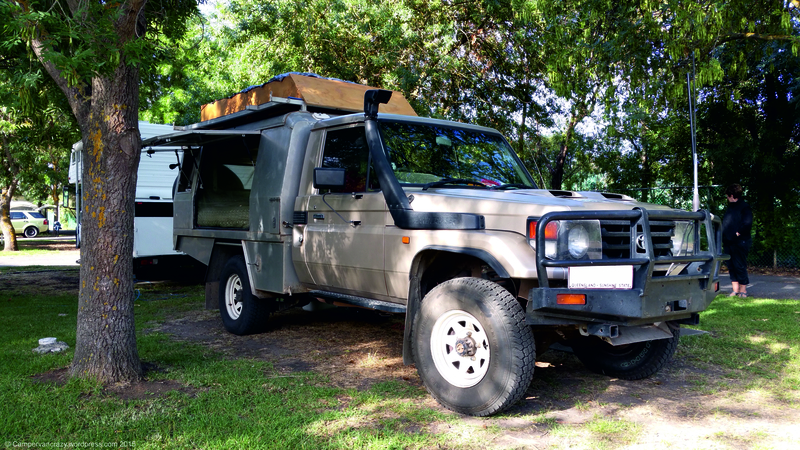 But even when travelling with a caravan, Peter and Wendy regularly use the Land Cruiser and its basic campervan set-up for longer and shorter camping trips off the main route. 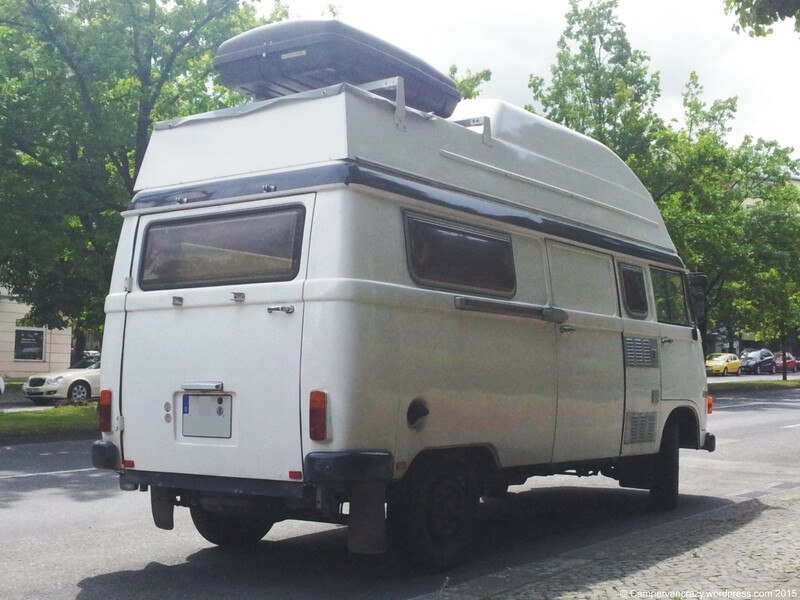 All the best for your future travels, and thanks for sharing all the details of this fantastic campervan with me! Detail showing the inner aluminium cage. 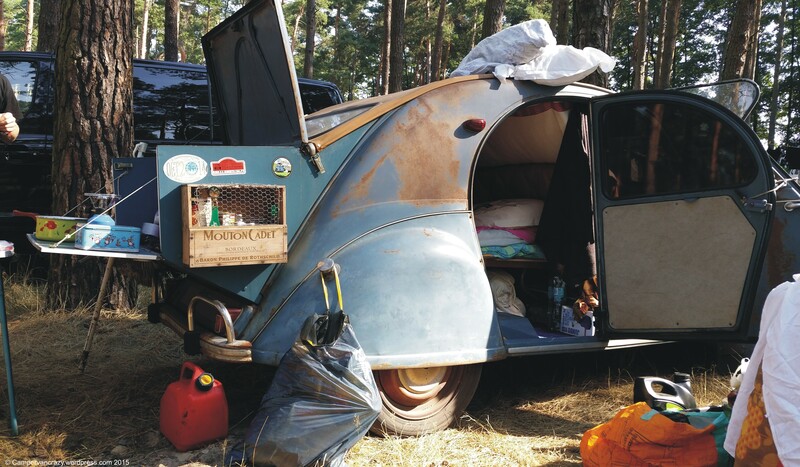 Now this is a truly awesome miniature campervan: A Citroen 2CV from 1962, in a cool rat-look state, with a self-made campervan conversion which, we were told, is known in the field: The original back lid is rebuilt so that it now closes over a boot extension which allows one person to sleep in the back of the car. The additional back lid at the very end doubles as breakfast table. 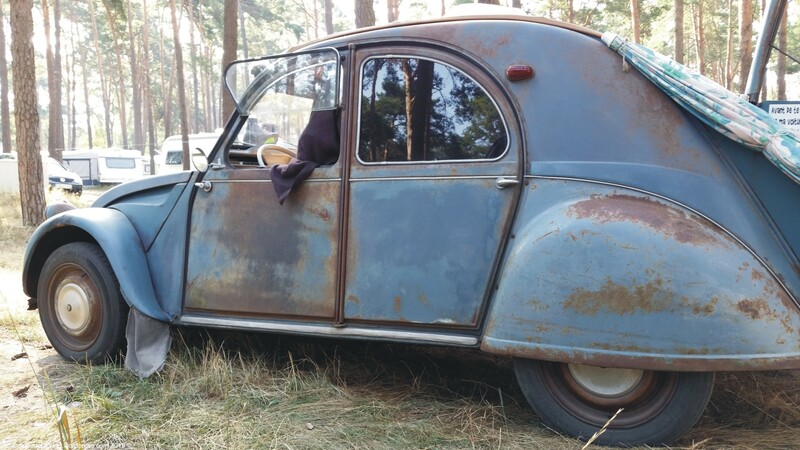 The owner, a young French man, was on his way back home from a holiday in Poland, together with a friend. 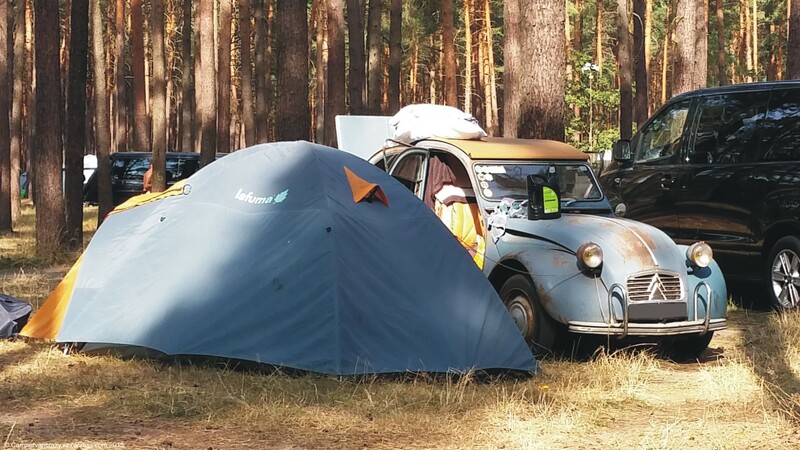 We met them on our favourite campsite in Spreewald, south of Berlin. What a cool little car! 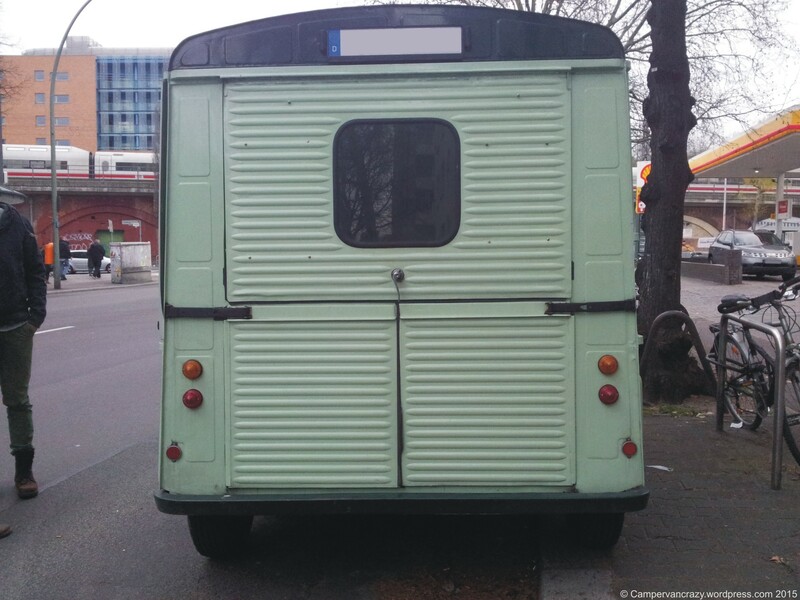 A rare view in Berlin – here comes the Citroën H Van! I spotted the bright green one some two weeks ago, the gray one a few days later. This model never really made it in Germany. But is must have been quite successful in France where it was built for a full 34 years, between 1947 and 1981. The French nickname seems to be Nez de Cochon, pig nose. 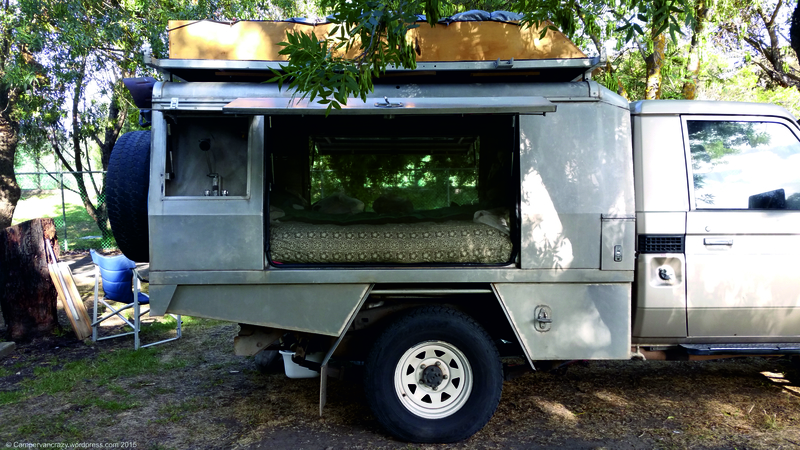 The side panels are made from characteristic sheets of corrugated metal. 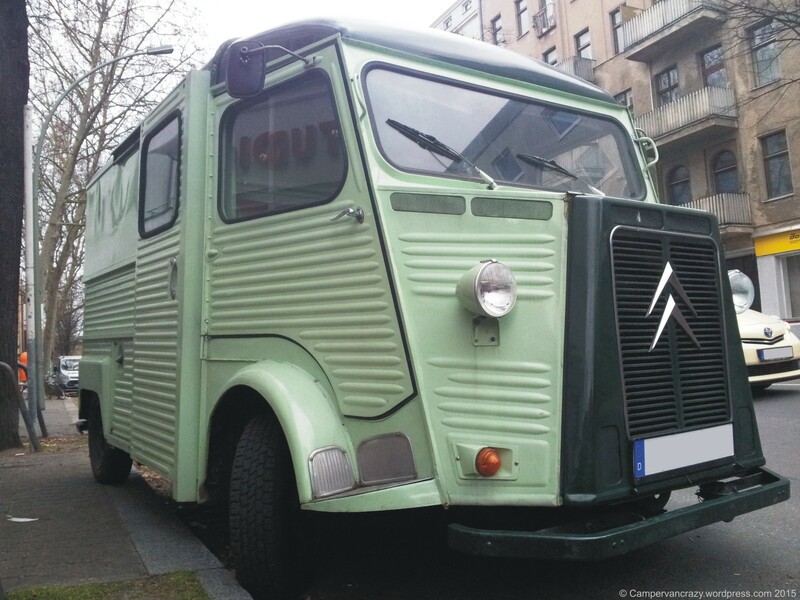 It seems now to become a trend to use these unusual trucks as food vans. 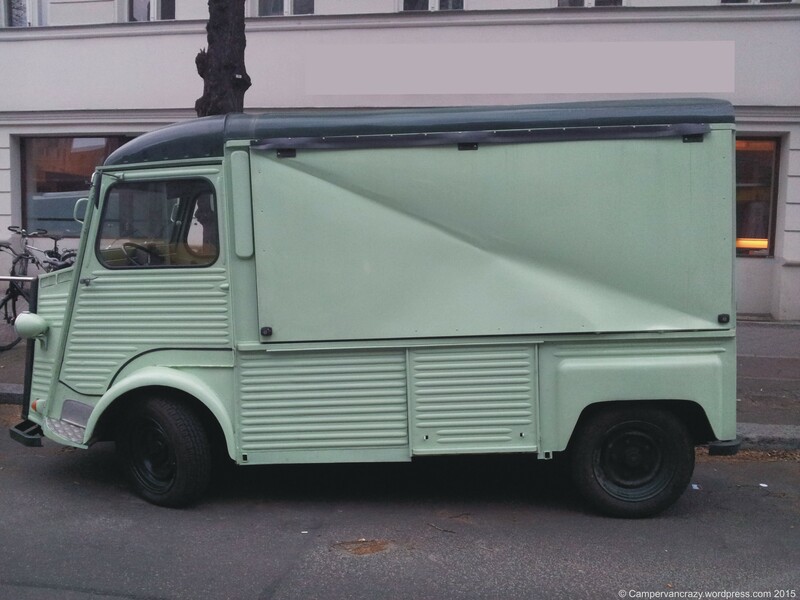 The green one looks freshly restored and rebuilt into a food van with a fold up selling bar over the full left side of the van. 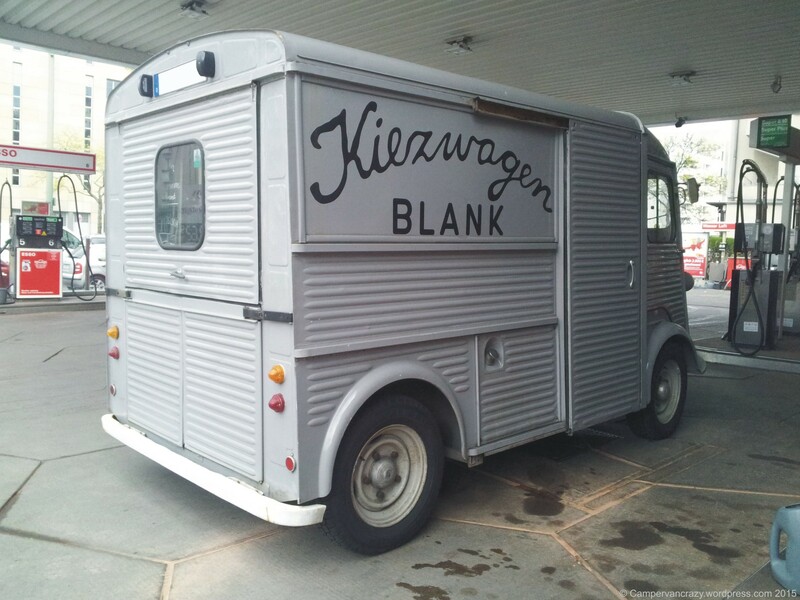 The gray one is already on a mission as the “Kiezwagen Blank”, a van that sells vegetarian and vegane street food, making the point of getting completely away with packing material. 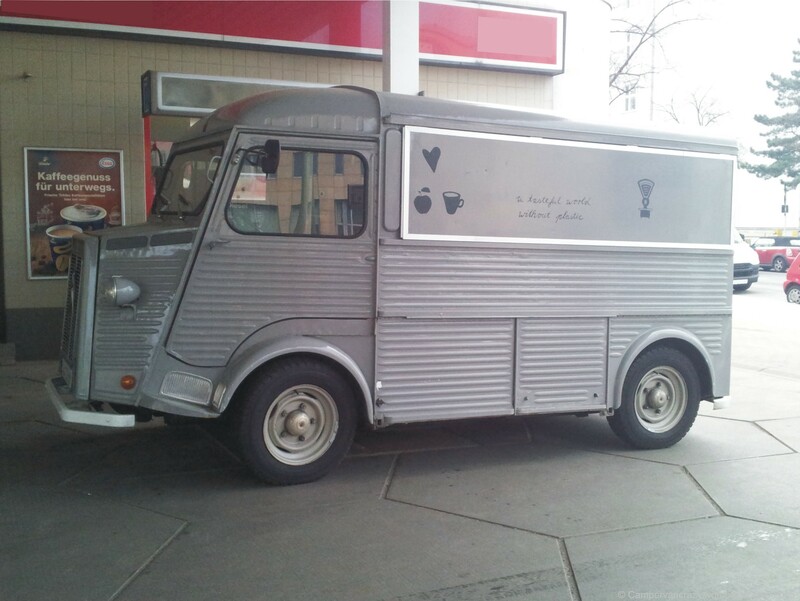 So a cool classic truck now used to explore new ways to cook better food while generating less rubbish. Nice motto on the left side: “A tasteful world without pastic”. Cool! 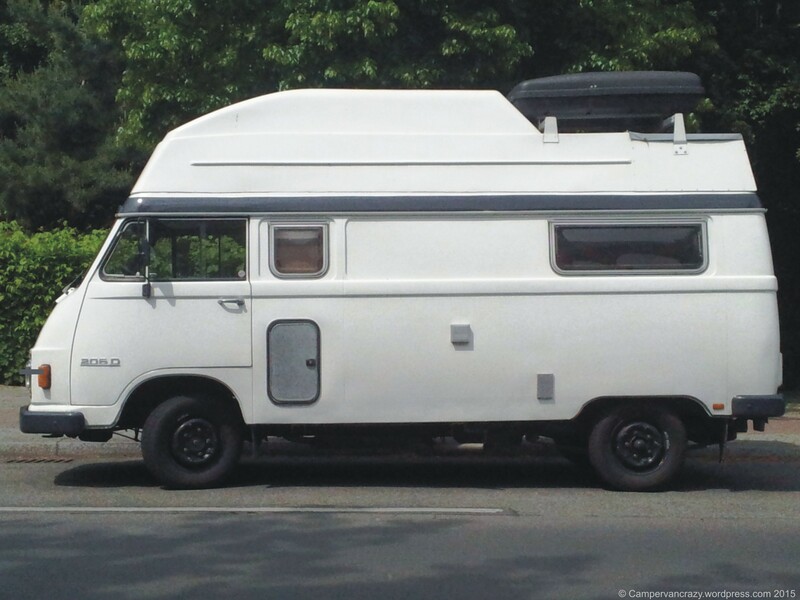 What an awesome classic camper! 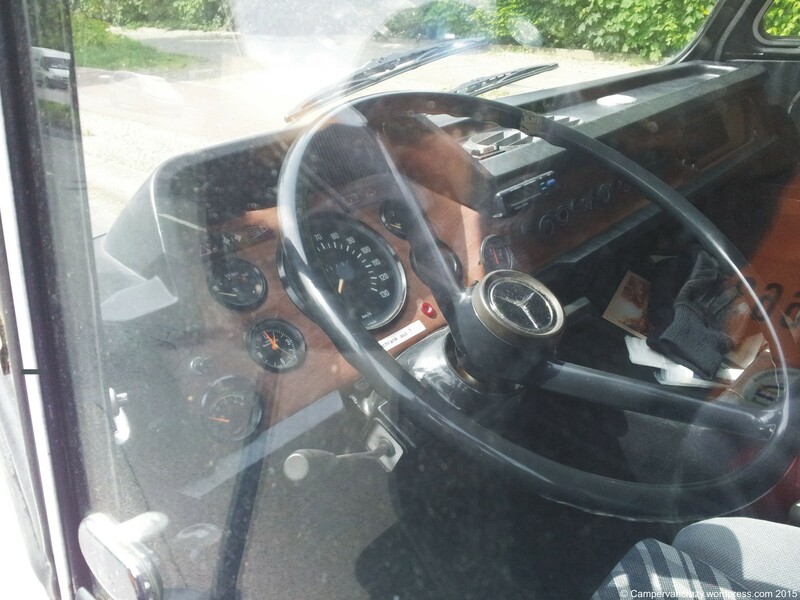 It is a Mercedes 206 D. Daimler-Benz built this transporter type between 1970 and 1977. 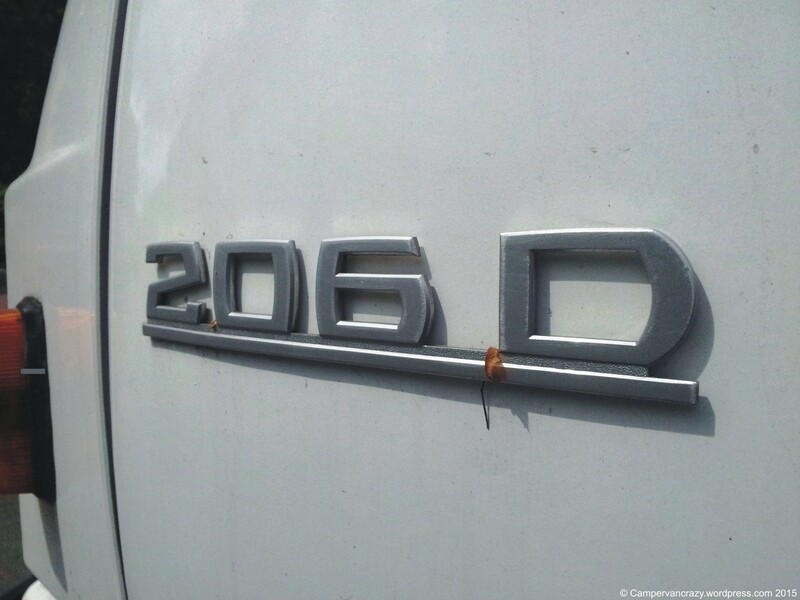 In their nomenclature 206 D means it can carry up to two tons of cargo and comes with a sixty horse power diesel engine. 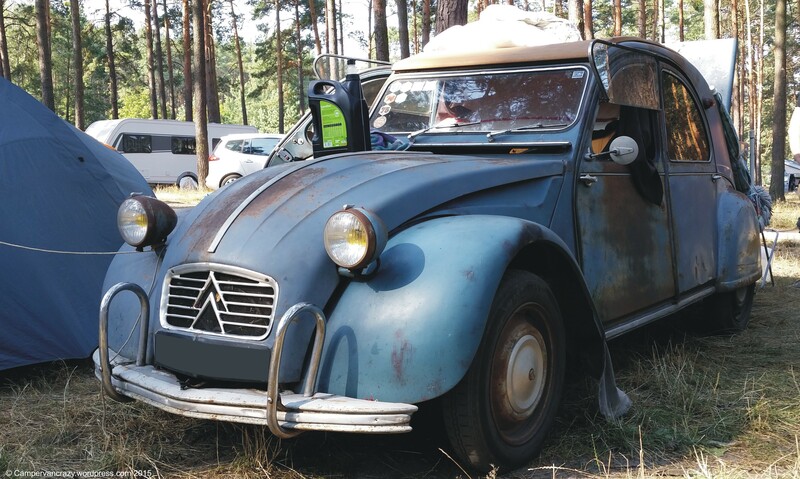 This one is in beautiful condition, looks fully restored and comes with a German classic car registration. 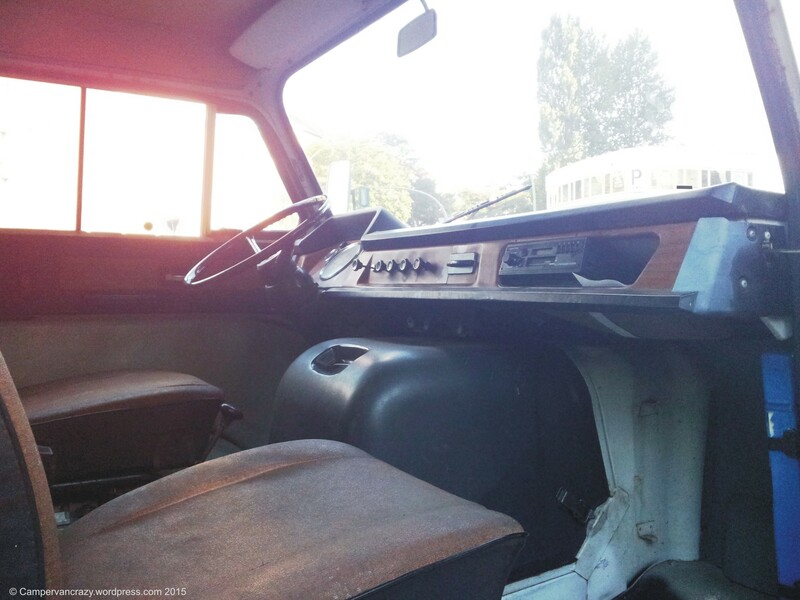 The bulge running around the van at chest hight looks very much like a design element borrowed from the split window and bay window VW buses of the 50s, 60s and 70s. 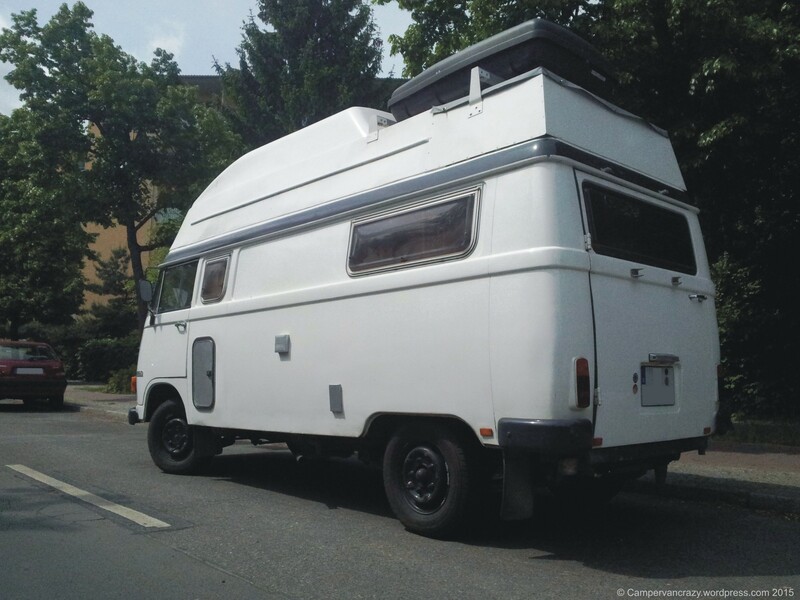 Different to the VW kombi, the engine here is at the front, so there is a lot of space for the motor home in the back. 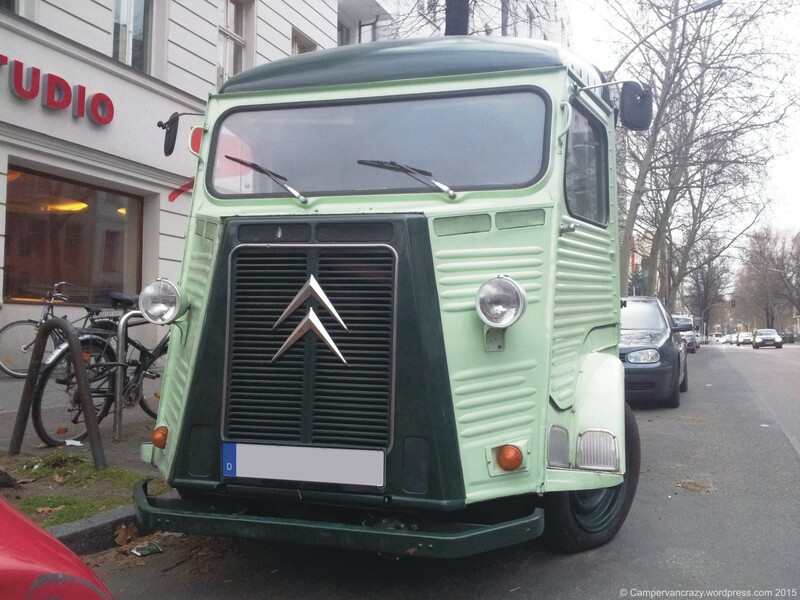 Before Mercedes built this transporter its predecessor was originally developed by the Hamburg company Tempo under the model name Matador. 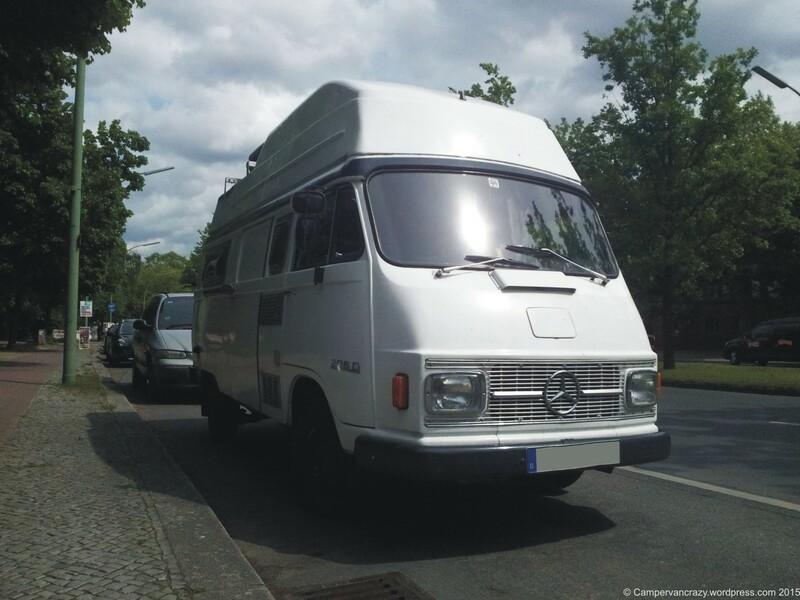 Tempo was bought in 1967 by Hanomag, Hanomag merged 1969 with Henschel to Hanomag-Henschel which, in 1970, was taken over by Daimler-Benz. 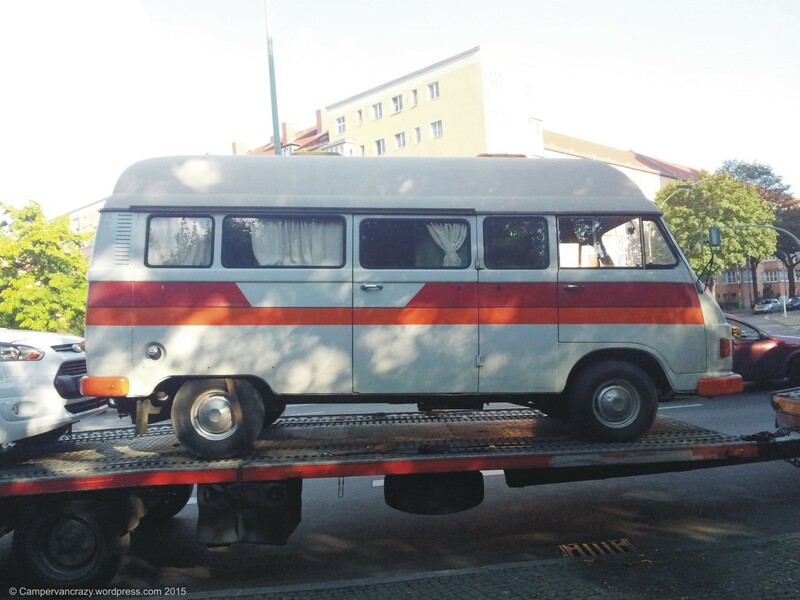 The outer shape of the transporter remained the same from a face lift in 1967 onwards (then the Hanomag models F20 to F35). 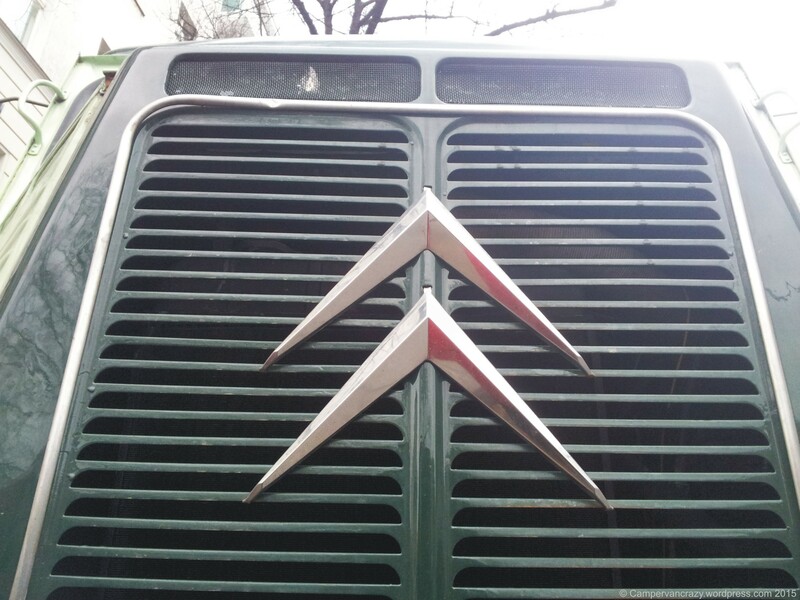 The Mercedes trucks were sold as models L 206 D, L 207, L 306 D and L 307. The transporters from all these companies were collectively called the “Harburger transporter” which has this (German) Wikipedia site.